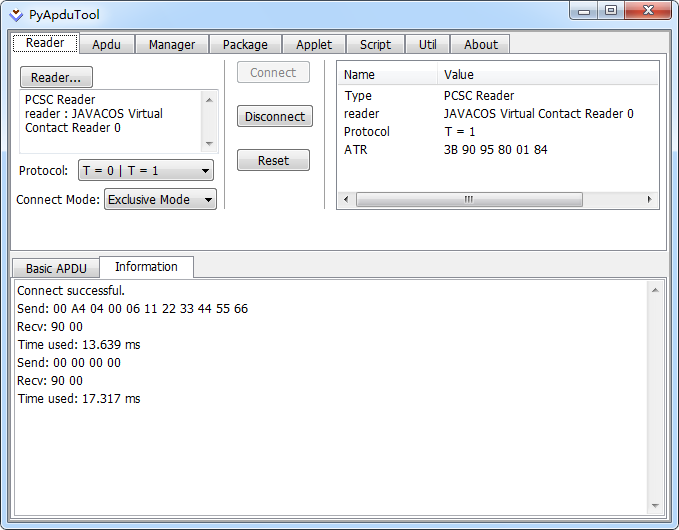 Java Card Developement Kit (JCKit) including JCIDE and pyApdutool, provides a complete,powerful development environment for java card developers. It lets you quickly and easily develop Java Card Applet. 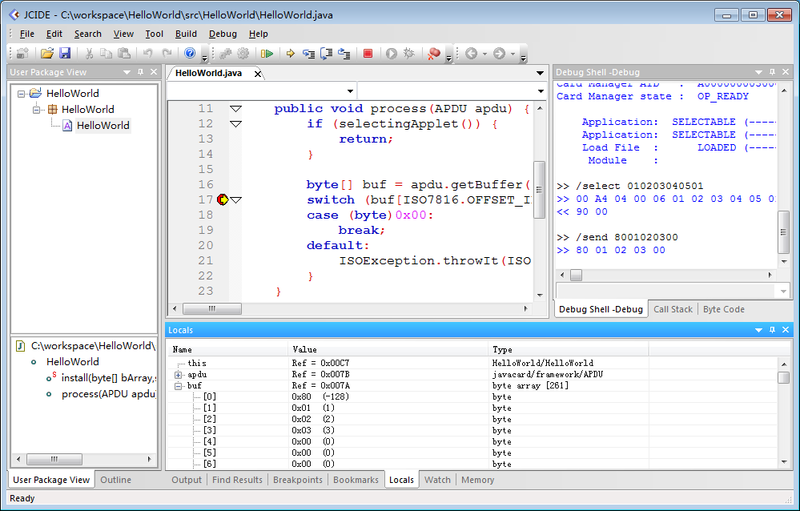 This page contains links to download the Java Card Development Kit. Moreover,this tool is completely free. Note: JCKit includes JCIDE and pyApduTool. Auto-completion, call tips, goto-definition, find uses, source browser, code indices, and symbol lookup. Visual studio key bindings, bookmarks, variable highlighting powerful search tools, and much more. Debug shell, set breakpoints, step, local view, call stack, memory, byte code. 1. Executing scripts through debug shell. 2. Allow any PC/SC compliant application connect to JCIDE and receive response from JCIDE with integrated virtual PC/SC interface. The pyApduTool is a handy tool which can communicate with the card via the reader connected to PC. It is a PC/SC compliant application.